Join our community as a karma yogi for a weekend or a week, anytime of the year. Or come for our live-and-work One-Month Karma Yoga Program which has regular intakes throughout the year. 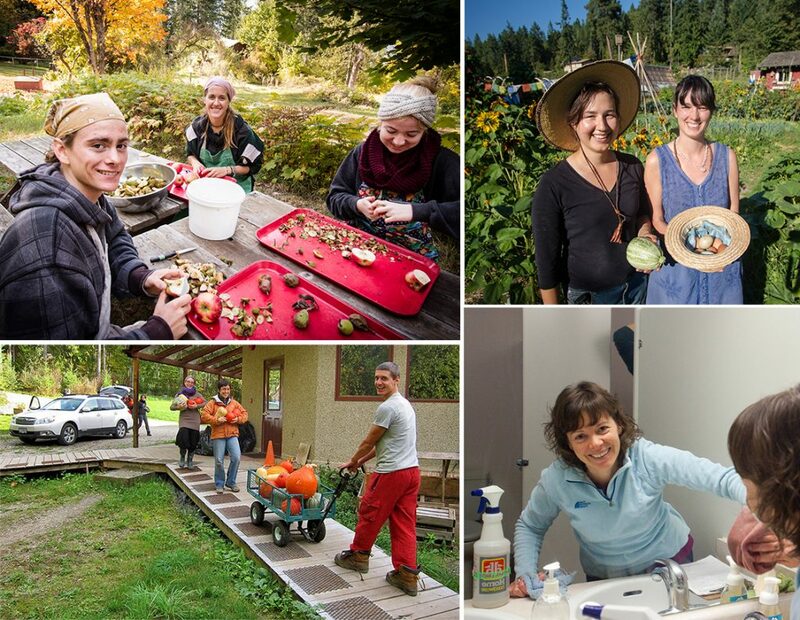 Practice selfless service as you work in our beautiful garden, help prepare delicious organic food or tend to our buildings and grounds. Karma Yoga is based on generosity and offering. As a Karma Yogi, you will work at tasks that provide an opportunity for service and learning. While we do take your skills, interests and physical ability into consideration, the priority is working together to do the work that needs to be done, finding joy in selfless service. You can add Karma Yoga days before or after a course, retreat or celebration. For those participating in the 10 Days of Yoga Course, you can stay on at no cost for up to the next seven consecutive days. Hatha Yoga – 6:50-7:50 a.m. Karma Yoga – 8:30-12:30 p.m. Karma Yoga – 1:30-3:30 p.m. Reflection break – 3:30-4 p.m. Karma Yoga – 4-5:30 p.m. Personal Time – 1-6 p.m. Accommodations are shared. Meals are included.